Set for a Devo Music Video? 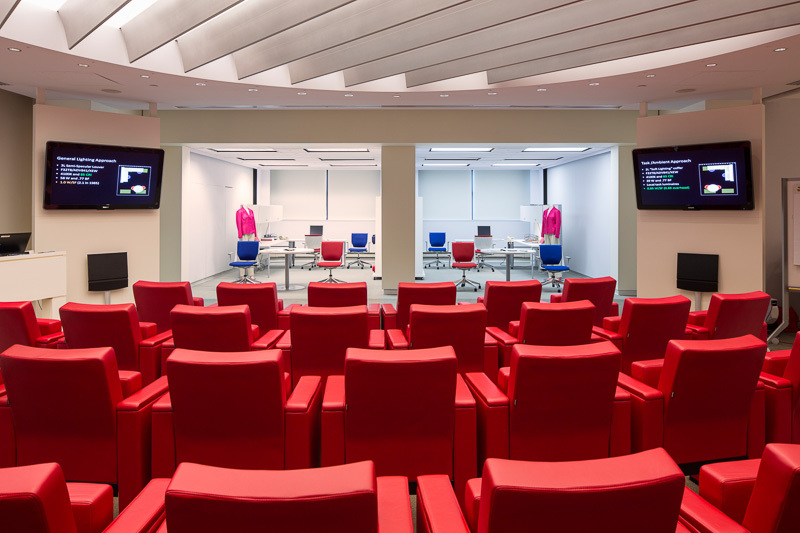 With bright leather chairs and stark, futuristic walls, the Philips Lighting Application Center looks like a set from a Devo music video or the movie 2001: A Space Odyssey. The construction firm E. Allen Reeves commissioned me to photograph the facility in Somerset, New Jersey. 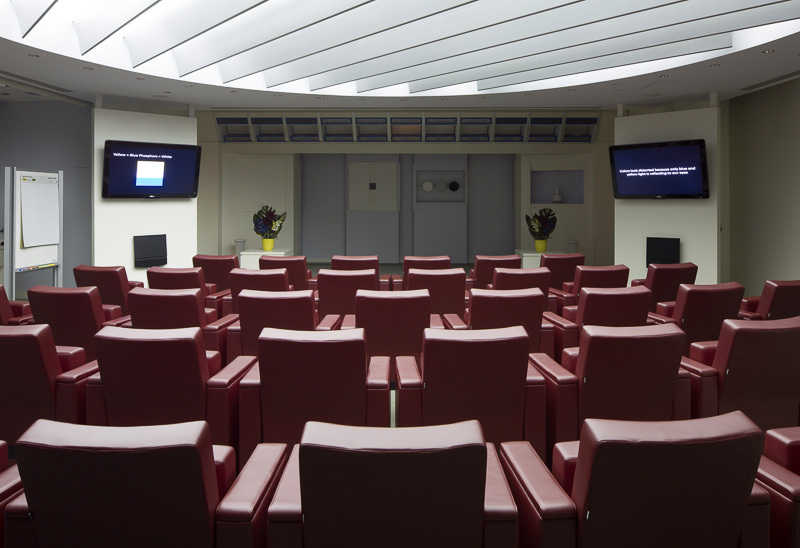 Philips uses this space to host lighting seminars for designers and other clients. The room’s unique construction helps demonstrate how different types of light and light bulbs affect our perception of color. Color is just an illusion. In one demonstration, all red wavelengths of light are eliminated from the room. Without red light reflecting off them, the previously loud leather chairs appeared mud brown to my eyes and to the camera. In another display, viewers compare two identical office mock-ups lit with different types of bulbs. You get a sense of how something as simple as lighting can alter your workspace and even your mood. The chairs sit on a revolving platform, which rotates throughout the demonstration to show different sections of the room. The strong colors and minimalistic setting gave the room a futuristic feel that made me think of New Wave music videos from my youth. As an architectural photographer who is fascinated by light, I loved photographing this room.